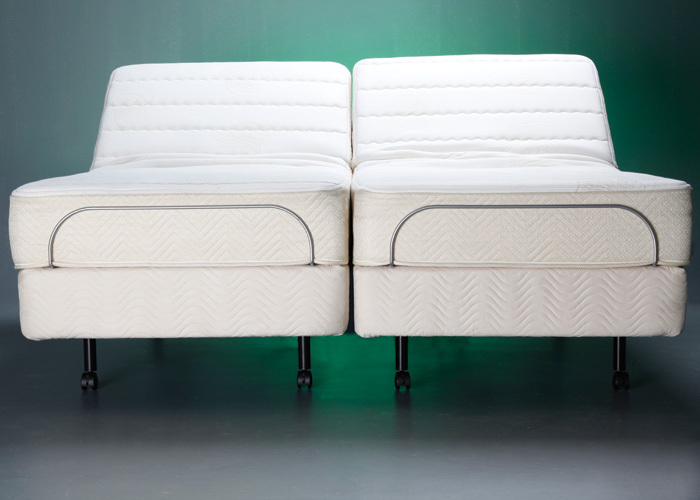 This is not your grandparent's adjustable bed. But it is the hottest bed - adjustable or not - on the market. The first bed to break through ordinary technology, Prodigy™ delivers features that consumers really want. It’s unbelievable what the two way Wi-Fi remote with LED screen can do. Adjust your position and massage as expected. The remote will also remember up to four of your favourite settings. Make one your favourite sleep position and gently move there as you are drifting off. Then in the morning, the patented alarm will wake you with a gentle massage and if that doesn’t get you up an audio alarm can be set. The snore function allows you to reposition your partners sleeping position and get a good nights sleep. 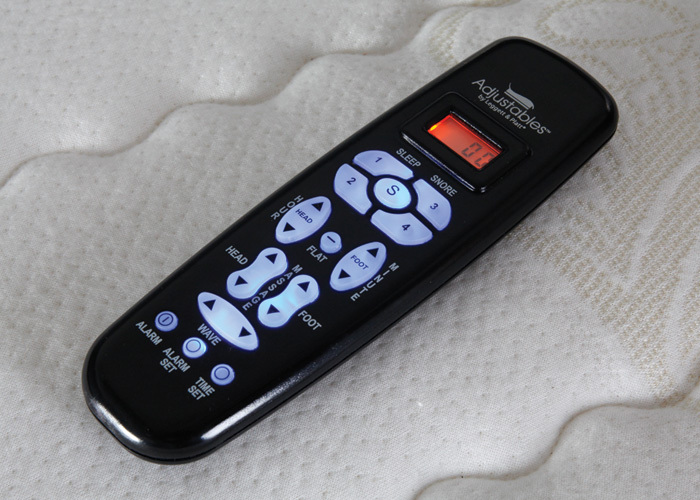 The clever remote location function means you never need worry about a lost remote. 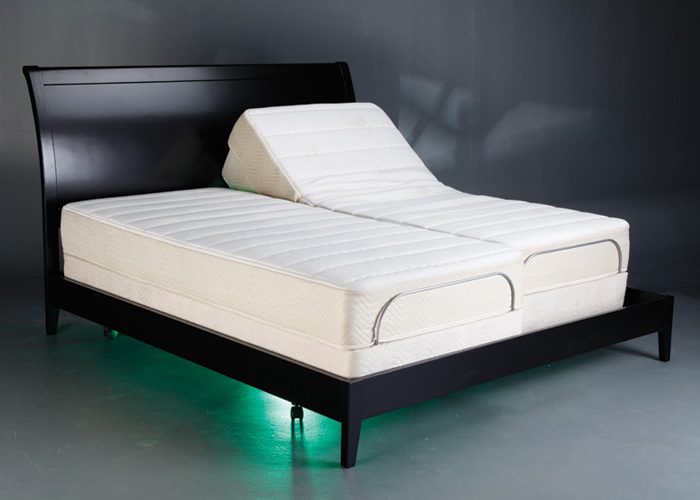 An iPad or iPhone application is standard with the Prodigy, giving you the ultimate modern adjustable bed. Maybe one day we will get it to make the tea as well in the morning. 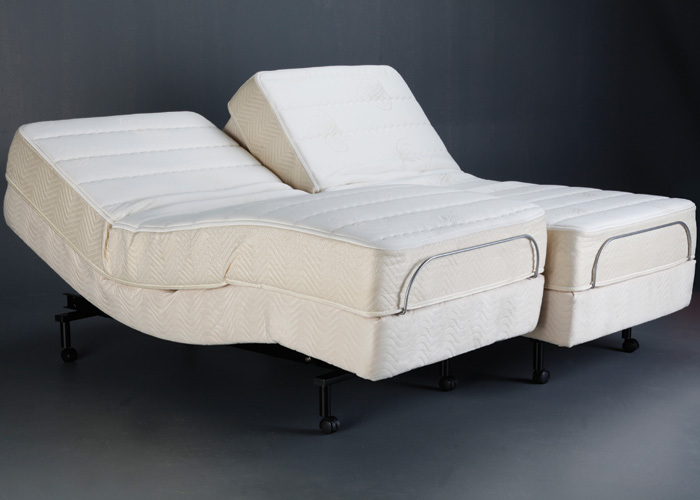 In the adjustable bed base there is a dual adjustable massage and wave technology. With dual adjustable massage you get two separate massages to work on you. One works to loosen shoulders and one to work on hard working legs. The wave technology gives an awesome relaxing feeling as it travels from head to toe and back again. 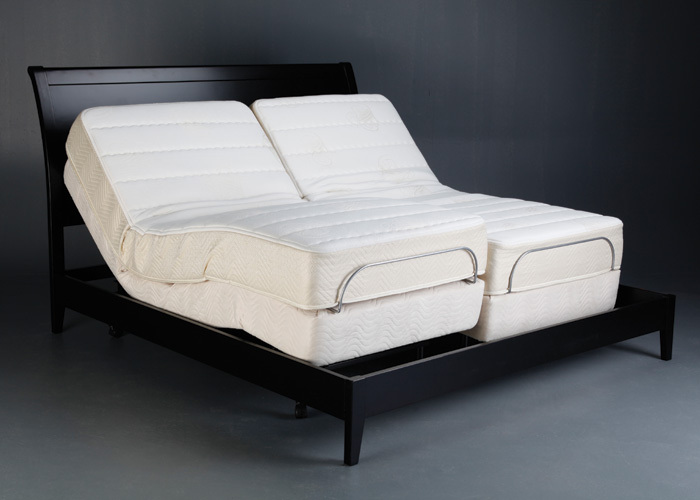 These adjustable beds will fit between most bed frames, head and foot boards. State of the art technology put’s you in the centre of the bed motion. This means that while you are being lifted into position the wallhugger simultaneously glides you back. That way the bed side cabinet remote and your favourite book are never out of reach. Unlike others that just lift you away from the wall. The whisper quiet motor is the quietest ever. You don’t miss a minute of your favourite music or show while adjusting simultaneously. Also changing position wont wake your partner next to you. The motor has a lift capacity of 42 stone (272kg).